Spectrum Medical Diagnostics is committed to enhancing patient treatment and diagnosis of substance abuse in Canada. Our goal is to help Addiction Rehabilitation Centres optimize screening programs to achieve better health outcomes. We are committed to providing comprehensive solutions that offer accurate, reliable results. With over 20 years of expertise in this industry, you can count on us to provide insight into the latest trends and offer solutions that best suit your screening requirements. Spectrum MDX recently launched our own brand of POCT screening devices for substance abuse detection. Our brand is synonymous with high quality, accurate products designed to enhance patient substance abuse treatment. We strive for continuous innovation and improvement, making us the leader and preferred choice for all point of care needs. As market leaders and pioneers in the industry, we decided to launch our own label of POCT screening devices because we fully understand our customers’ requirements. We incorporated valuable feedback from our clients and created an easy to use, comprehensive screening tool ideal for any market segment. The SpecCheck brand will provide you with quick, accurate & reliable results to help you enhance patient treatment. Spectrum MDX is more than just a drug testing provider. We are committed to optimizing programs and improving health care. Fentanyl is a synthetic opiate typically prescribed for cancer patients with severe pain. It has evolved into the next prominent drug on the streets, posing fatal consequences all across North America. The risk of overdose is tremendous and can occur within seconds. What many people are not aware of is that this drug can be laced with heroin, cocaine or oxycodone, exponentially boosting potency by 50-100 times & making it more toxic than morphine. Opioid overdoses have an impact on our society and should be addressed in a national and immediate manner. Several of the popular street drugs have been found to be laced with fentanyl leaving this substance potentially undetected. This poses a tremendous concern for addiction rehabilitation as treatment and diagnosis are negatively impacted. According to Health Canada, Fentanyl is often combined with substances such as heroin, cocaine & MDMA to increase potency. Fentanyl is easy and inexpensive to manufacture, making it convenient for drug dealers to spike other substances and create counterfeit versions of drugs. Unfortunately, recreational drug users are completely unaware they are ingesting the potent painkiller, resulting in overdose and death. An additional danger lies in those that are not regular opioid users & inadvertently abusing the drug, as this creates a much greater risk of overdose or death. A relatively small amount is considered potent and users are essentially playing Russian roulette with the laced substances. Within the last six years, the number of deaths involving fentanyl in Canada’s four largest provinces has increased markedly ranging from almost doubling to an increase of over 20 times. Drug users know how to readily obtain the drug and will resort to any means necessary for this elusive high. 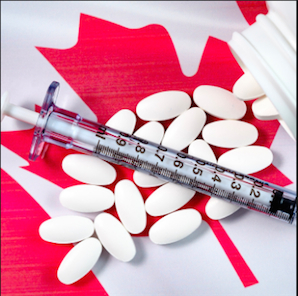 It is widely known that Canada and the U.S are fighting an opioid crisis. From overdose and addiction to irregular dissemination, it’s becoming an increasingly large issue both locally and abroad. Though the drugs are used for a myriad of reasons, there are arguments against any type of long-term use. Addiction workers may face challenges with screening & diagnoses as Fentanyl could easily be missed. Being proactive and screening for this synthetic opioid will only enhance your current screening program and help provide optimal patient treatment. 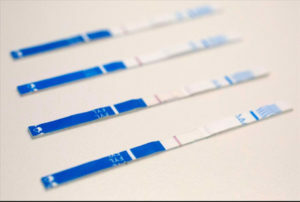 Although a standard drug screen for opiate could potentially detect fentanyl, the chances of this substance being missed on a urine screen are quite high. The opiate test is not specific to Fentanyl, therefore, the negative impact on patient treatment could be alarmingly severe. With the current opioid crisis Canada is facing, we recommend that Fentanyl and other opioids be added to your existing screening configuration. Comprehensive and reliable drug monitoring will ensure that patients are in compliance with treatment programs & receiving the care they require. Many patients are reluctant to self-disclosing ongoing substance abuse while at a facility, while others might be more upfront if they have a realization their treatment is being jeopardized. Optimizing your screening program with our value-added solutions will offer your patients enhanced treatment options. 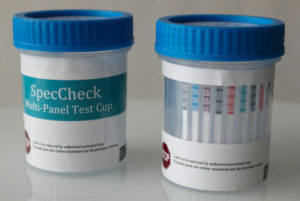 In addition to urine drug testing, many Addiction Rehabilitation Centres are incorporating saliva (oral fluid) drug testing into their outpatient & weekend programs as a secondary screening tool. Saliva screening can help provide a more thorough and comprehensive analysis as a different matrix. 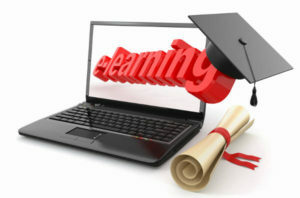 Our team specializes in training to ensure your staff can use instruments properly for the most effective results. Although our screening tools are designed for simple application, proper administration and correct scoring are of the utmost importance in addiction and rehab centres. It is best to have screenings performed by professionally trained staff. We offer both non-regulated and DOT-regulated programs providing in-depth product training per manufacturer’s guidelines and recommendations. Your team will receive comprehensive instructions on the correct use of all Spectrum MDX POCT products, including proper collection procedures. For more information on our Addiction & Rehabilitation Centre services speak to a member of our sales team.